Wondering where you will be living on campus? Here are all the details you need to know about UNH accommodations. The University of New Hampshire guarantees you on-campus housing as a UNH Undergraduate GSSP student. As a resident on campus at UNH, you will have greater opportunities to take advantage of the campus activities and facilities. The residence halls provide a safe, clean, well-maintained living environment. 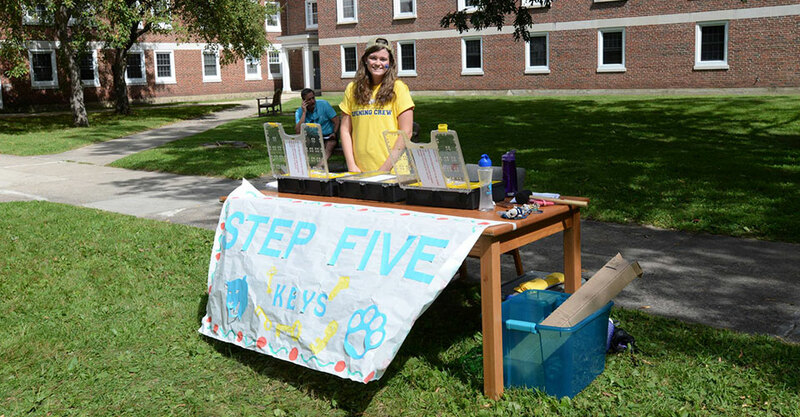 Professional staffs that live in the residence halls are always on hand to offer support for students and provide activities to create communities within the building. All of the residence halls offer amenities and features that make you feel at home while attending school at UNH. The residence halls are only a short walk from the academic buildings, dining halls, libraries, Memorial Union Building (student center), Recreation Center, Whittemore Center and more. Each room includes a bed, dresser, desk, chair, and wardrobe. Rooms have wireless accessibility for high-speed internet access, standard cable television, however, you must purchase your own television. All of the residence halls have common study lounges (with WiFi), recreation lounges, kitchens, laundry facilities and vending machine areas. Students who live on campus have the opportunity to take advantage of the study halls, libraries, Mathematics Center, the UNH Career and Professional Success Center, the Center for Academic Resources (CFAR) and many more facilities. The UNH GSSP also offers a peer mentoring program that supports different subject tutoring, as well as writing assistance. This center is called the Peer Assisted Student Success (PASS). The UNH dining plan offers a variety of dining options to suit all students' needs. Students living on campus all have unlimited meal plans. That means they can come to the dining halls as many times a day as they would like and because the dining hall stay open all day; the student can go anytime they like as well. UNH has 3 dining halls that offer stir fry, salad bars, home cooked food, pizza bars and grills, all with completely different menus. There are also food courts and cafes all over campus for students to grab a bite to eat in between classes. UNH has a free shuttle service that takes students around campus and also to the surrounding shopping centers and nearby towns. The shuttle services run 7 days a week during the school year and on a reduced service schedule during the rest of the year. Students will never be left waiting around for a bus because there is a phone app connected to each bus via GPS providing students live updates on buses en route. Wondering where you will be living on campus? Here's all the details you need to know about UNH accommodations. UNH offers guaranteed on campus housing for all four years with accommodation available in 27 different residence halls. Making friends and getting involved is easy since all first year students live on campus. 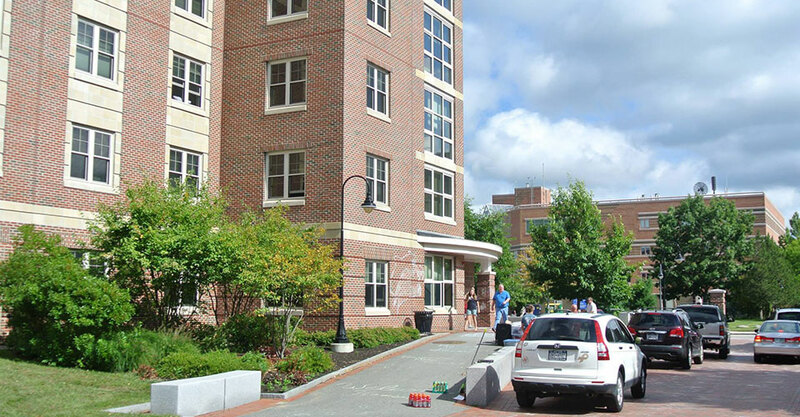 UNH has a number of residence hall options available to students all year long that offer various types of rooms. The residence halls are equipped with study lounges, recreation lounges, kitchens and laundry rooms. Rooms are all furnished with beds, desks, dressers and closets and high-speed internet. The following are a few of the current residence hall options for UNH GSSP students. 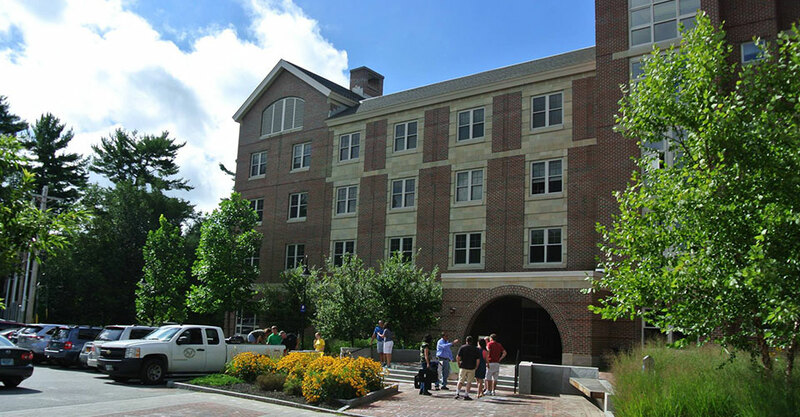 Fairchild Hall is conveniently located next to downtown Durham and across the street from UNH’s Memorial Union Building and Holloway Commons dining hall. The hall was renovated in 2008 and has a large fully-equipped communal kitchen for students to use. Fairchild Hall has the very popular International Living theme. Both American and international students live in the dorm and take part in cultural events such as the Fall International Food Luncheon and the Spring Fiesta. Devine Hall is part of the Upper Quad which consists of 3 connected residence halls. Devine is located directly next to the Memorial Union Building, the student center that is the heart of campus. For students who are interested in music, Devine offers a themed floor called "Living in Harmony." 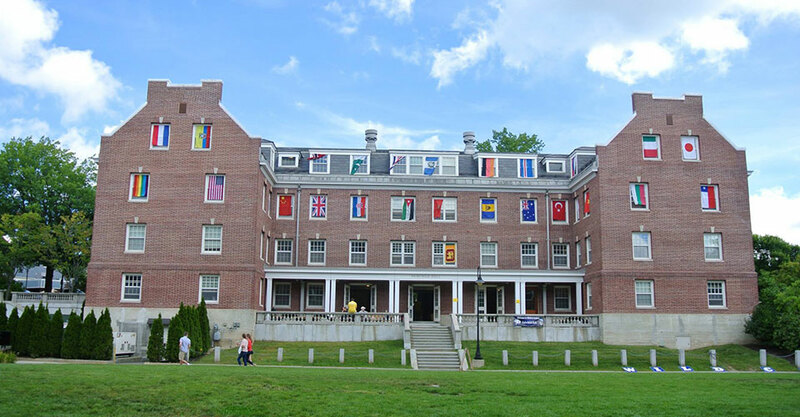 Congreve Hall was renovated in 2003 and offers beautiful views of UNH’s Thompson Hall. The residence hall is located next to the Whittemore Center as well as the Hamel Recreation Center. Students love this dorm because of its comfortable common spaces and proximity to academic buildings. Graduate students will live off campus during the Graduate Global Student Success Program at the University of New Hampshire (UNH). Please utilize the Off-Campus Housing Service below to view accommodations around UNH. We recommend looking first at housing options in Durham, Dover and Portsmouth as first choice locations. Also it is recommended you look for an accommodation close to the Wildcat Transit (university free transportation). Wildcat Transit will be the most convenient transportation method to get back and forth from your accommodation to the university campus.